Clara Joe Browns vintage bow bar heels in silver. These cute Joe Browns heels are perfect for that spring and summer day-to-night versatility. 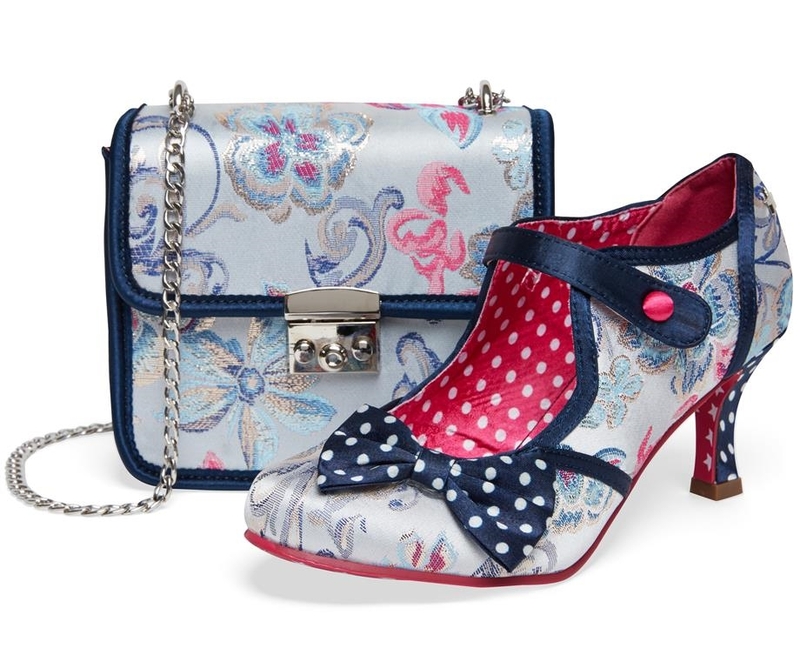 Clara features a subtle yet elegant embroidered floral pattern in a blue, pink and purple palette outlined in a shimmery silver thread, a lovely and cute complimenting navy bow delicately placed on the side that harmonises with the navy piping and Mary Jane style strap and darling contrasting pink inner polka-dot lining, button and star sole. 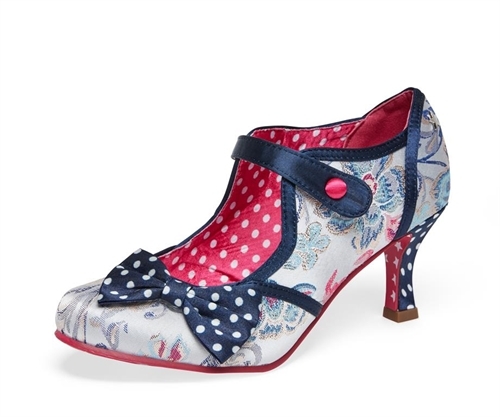 A navy polka-dot heel matching the bow finishes off the shoe perfectly. Get ready for your summer parties in style with these Joe Browns Clara bow heels. Clara Joe Brown vintage bow bar heels in a delicate silver. The beautiful embroidered floral pattern on the upper. Navy polka-dot side bow compliments the navy piping around the shoe edge. Pink and white star sole. Cute shiny silver star embedded into the back.